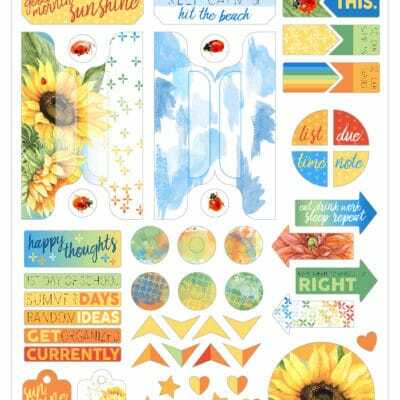 For the June 2018 kits we invited Kristine Bryant to be our guest designer, I have been following her on Instagram for a while now but she just recently started using Cocoa Daisy kits and the way she uses them blew me away. So here she is telling a bit about herself. “Hi, everyone! My name is Kristine and I’m so excited to have been asked to be a guest designer for Cocoa Daisy for June! I live in northern Virginia and teach 8th grade math. When I’m not at school, I like to craft, travel, and work on projects small and large in my house. 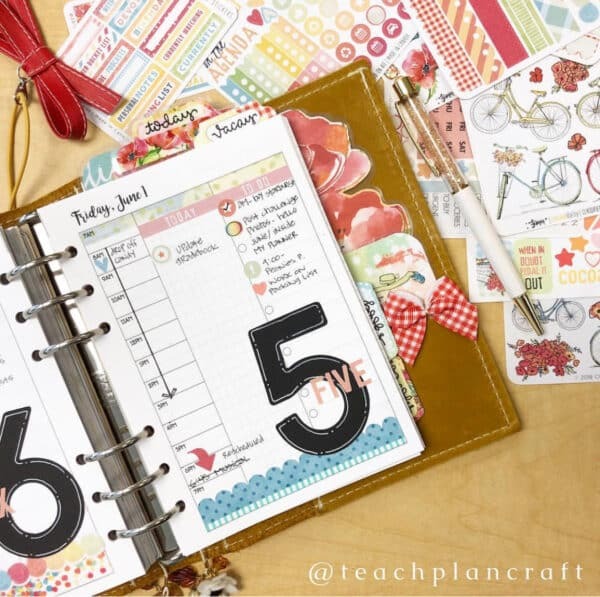 I’ve always been a planner to one degree or another, but it never went much further than a calendar on the wall until 2015, when I stumbled across a popular spiral-bound planner on Pinterest. My obsession with “pretty” planning started at that moment, and I’ve been on the hunt for planner peace since then. I’ve used a couple different spiral bound planners, a bullet journal, a traveler’s notebook system, and now finally rings, and I feel more at home in my ring planner than I have in any other system I’ve tried so far. Monthly Views in my personal wide and micro planners. When I first started decorating my planners 3 years ago, I was primarily a stamper. My weekly spreads were a combo of functional and decorative stamps and washi and were really fun to put together. 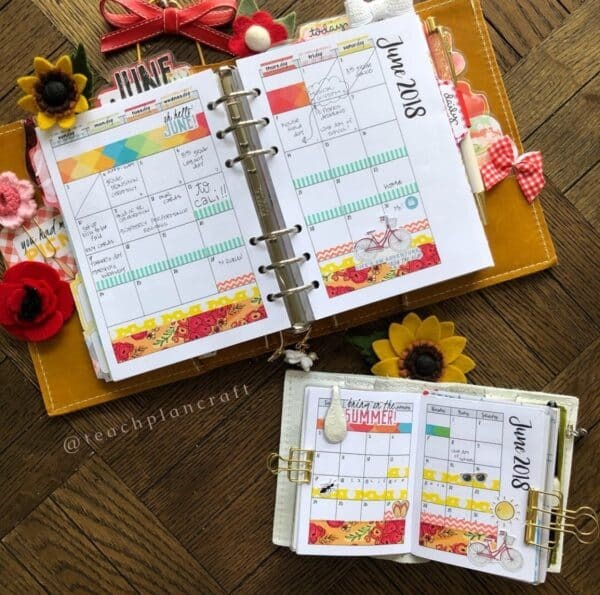 My bullet journal was mostly stamped, too, but once I made the switch to rings, I suddenly felt at home in printable inserts and no longer stamped as much. Slowly but surely, I started transitioning to stickers, washi, die cuts, and other embellishments. When I started in rings just this past November, I went straight for the personal wide size. 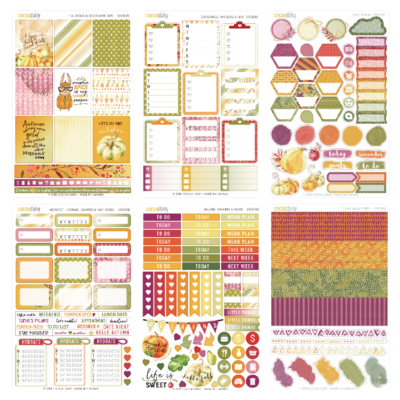 Several of my planner besties had been using Cocoa Daisy kits for some time, and I had been wanting to try it too, but they didn’t have B6 or personal wide then, so I didn’t think I would be able to find a kit that worked. 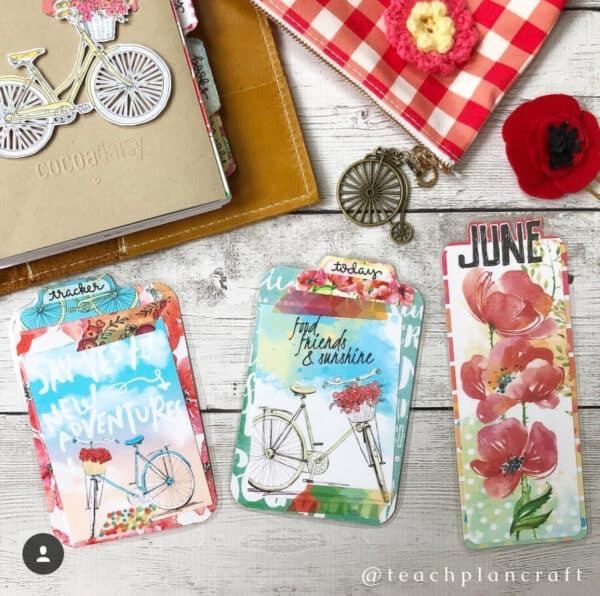 I looked elsewhere and for a couple of months, used decorative kits and pieces from several different planner shops, but my planner always felt kind of random and not well put together. 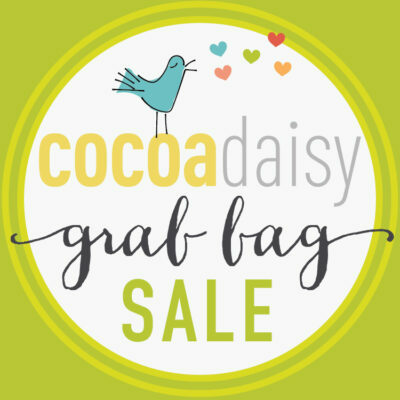 When Cocoa Daisy started offering B6 kits in February of this year, I felt like Christmas had come! I signed up immediately starting with just the B6 planner sub, but soon added the planner add-on kit, the pocket memory kit, the sticker sub, and the classified kit. I take apart the B6 Dori, cut it, and hole punch it for my rings, and then use all the various kit pieces and stickers to decorate my entire planner (and wallet) in one cohesive theme for the month. 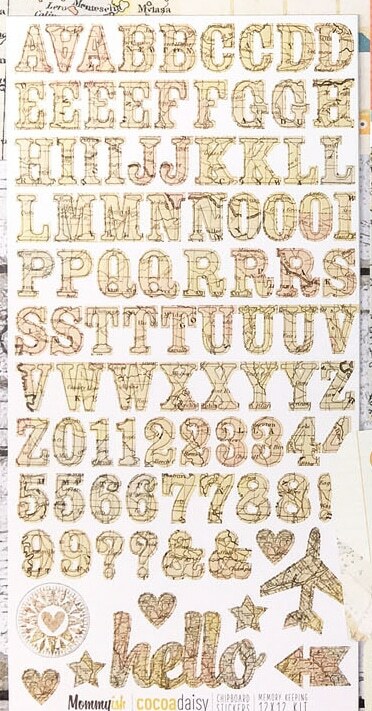 I love that I don’t have to go looking at different shops for vellum or dividers or what have you. Everything I need is in that polka dotted box! My favorite day of the month now is the day I get to sit down, sort and organize everything in the newest kit, and start putting a new planner together. 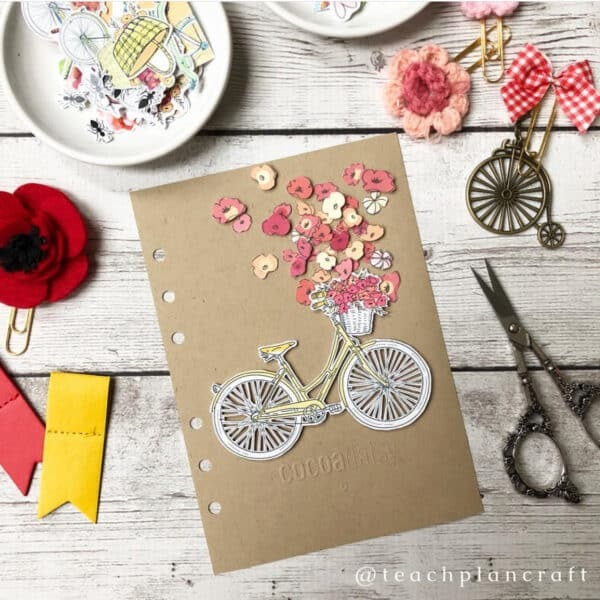 The planner community has brought me joy and friendships I wouldn’t have otherwise, and I love to share and be inspired by others. I am grateful to be here with all of you! I absolutely loved using the large numbers in the Pocket Memory Keeping kit this month to count down the days of the last weeks of school! Having those numbers in there kept me going every day! Aside from the beautiful artwork, one thing I adore about the Cocoa Daisy kits is the sheer volume of stuff you get in them! Even after I’ve created dashboards and bookmarks and pocket decorations for my main planner, I have plenty left over to decorate my wallet to match. Thank you so much, Kristine, for being our guest designer and sharing your creativity and planner inspiration with us! It was such a pleasure to have you here. 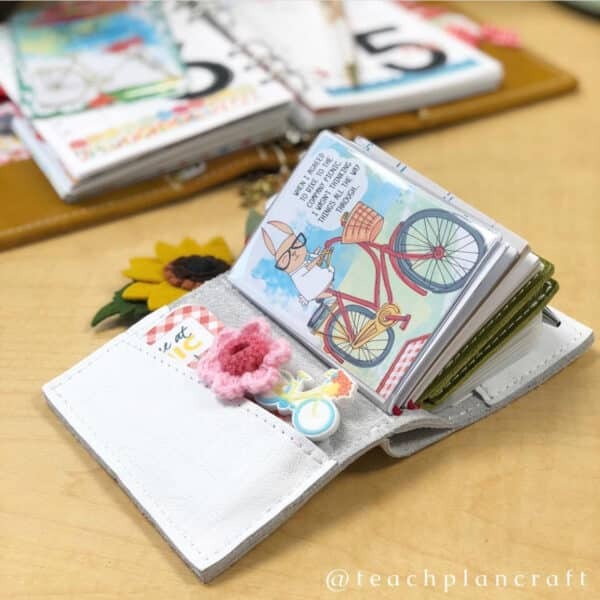 Be sure to follow Kristine on instagram: @teachplankraft as well as on youtube: KJB Stamping where she shared her June Planner Setup with us..
July Wallet & B6 Flip!